Need a Tow Truck in Brisbane? Broken Down on the roadside or need to tow or transport a non-runner or maybe even a new car from the auction lot. Call us to have your vehicle towed today. Being stranded on the roadside is never a good feeling, With our Priority Breakdown service we aim to have a tow truck out to you ASAP, so that you may continue on your way. At Tow My Car we endeaver to respond to breakdowns as soon as possible. Waiting times for breakdowns are usually only 30-60min. and if we can not make it within the hour, we will let you know up front, unlike many other companies that say they will be there in an hour and 2 hours later, you are still waiting by the roadside. Locally based in Brisbane and not just another overseas 'internet company'. When you call us, you speak directly to us, we are locally based in Brisbane and have a extensive knowledge of Brisbane and its suburbs, thus ensuring we can attend to your Tow Job without delay. The last thing you need after a breakdown is to be gouged for a astronomical tow fee, we keep our prices fair and as low as possible whilst ensuring our trucks are maintained to a high standard. Need a tow just around the corner, or transporting a vehicle or tractor over a longer distance to the Gold and Sunshine Coasts, yes we can do that too. Tow My Car carries full insurance for your peace of mind. Tow My Car operates Tow Trucks in all suburbs in the Brisbane area. 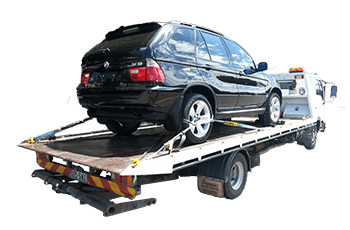 When you need a Tow Truck in Brisbane just call us for a priority Tow Truck and we will dispatch a truck immediatly to your location. We understand your time is important and we will not leave you stranded on the road for hours and hours like many other Tow Trucks in Brisbane. So when you need a Tow Truck dont delay just Call us Today.